The world’s first report on digitalisation and solar was issued by SolarPower Europe, 4 October 2017. Thought to be the first in-depth analysis of digital technology in solar PV in the world, “Digitalisation & Solar” seeks to lay out how solar can make the most of the market opportunities arising from digitalisation such as smart solar homes, peer-to-peer electricity trading, digitalised manufacturing and high-tech O&M. The report looks at new and improved business models, the digitalisation of the entire value chain from manufacturing to operations and maintenance, and digital integration of the technology into the grid. 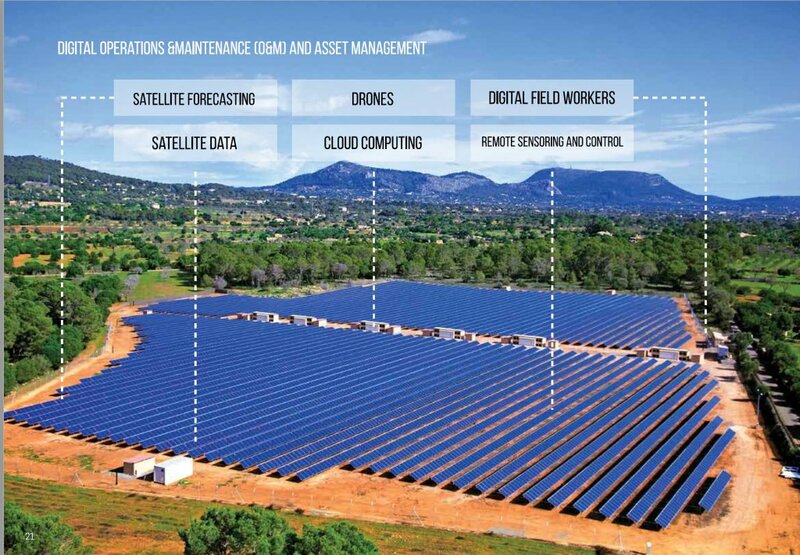 Excerpt from the report: Digital technology can also be used, particularly in large-scale utility ground-mounted solar, to reduce operational costs and increase asset performance. The solar O&M sector is already highly digitalised, but of course new digital technologies become viable as their costs decrease. Monitoring systems already measure and process a huge amount of data from large-scale solar plants: energy meter data, irradiance, module temperatures, weather data, string level monitoring and AC and DC side inverter measurements. As technologies mature only data that can generate real value and be monetised will be collected, thereby reducing the data collection costs and making processes more efficient. Advanced software is also used in the management of operational data: interventions, reaction and resolution times, event types, final diagnosis of cause and cost of interventions (both in terms of labour and materials). This data is used to optimise the operation of the asset at least cost. Commitment four of the seven commitments on digitalisation addresses reducing costs. It relates to solar operations and maintenance to increase system availability and reliability, thus enhancing the competitiveness of solar. Alectris developed the world’s first solar ERP (Enterprise Resource Planning), a digital industrial platform in 2013. ACTIS delivers an integrated platform of solar investor and plant owner system management benefits. 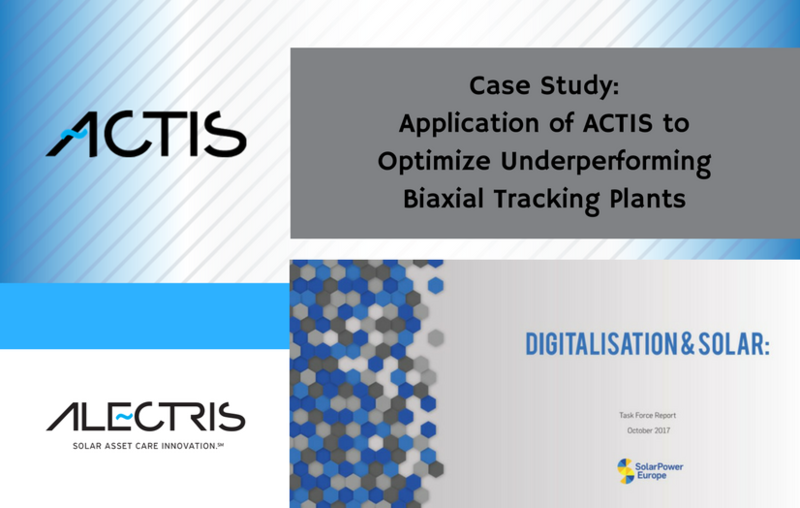 In numerous case studies, ACTIS has been the digital tool to determine system failures and validate optimization results. Alectris will diagnose, propose solutions and then engineer and implement the solutions to transform underperforming plants into sites optimized for performance output through safety control, achievement of full manageability and integration into ACTIS. 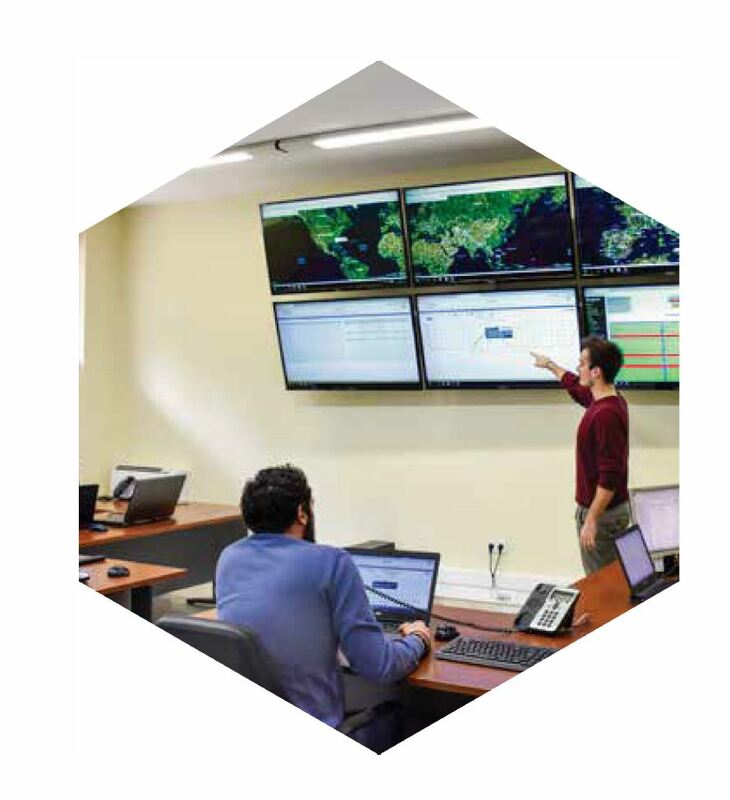 Proper control and monitoring by integrating the tracker control system software into ACTIS, thus ensuring future problems are immediately identified and cured. 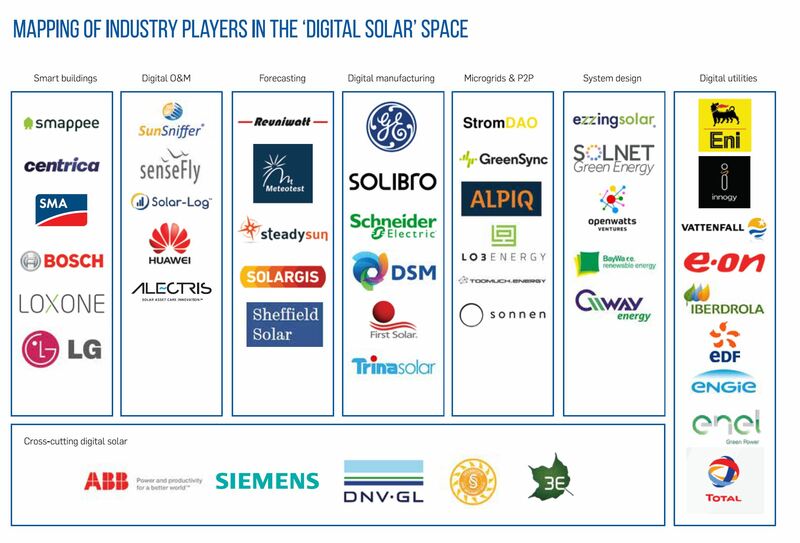 To download the full SolarPower Europe ““Digitalisation & Solar” Report, click here. Access features and videos on ACTIS, the world’s first Solar ERP, click here.